When Walt Disney first toured The Florida Project, he knew that one thing he would have to manage was all the water on the property. After all, it was literally swamp land! He hired the people he needed who had the imagination to see what could be, and not what was about the land. Today, the management of all the water comes in many different forms, and sometimes you can find yourself standing in front of a water piece oooing and awwing! The Magic Kingdom has the Jungle Cruise which uses a lot of water to provide guests with a Walt Disney Original experience. There are water features all around the park. Tom Sawyer’s Island is surrounded by water, there are water accents at the hub near The Crystal Palace, just to name a few. 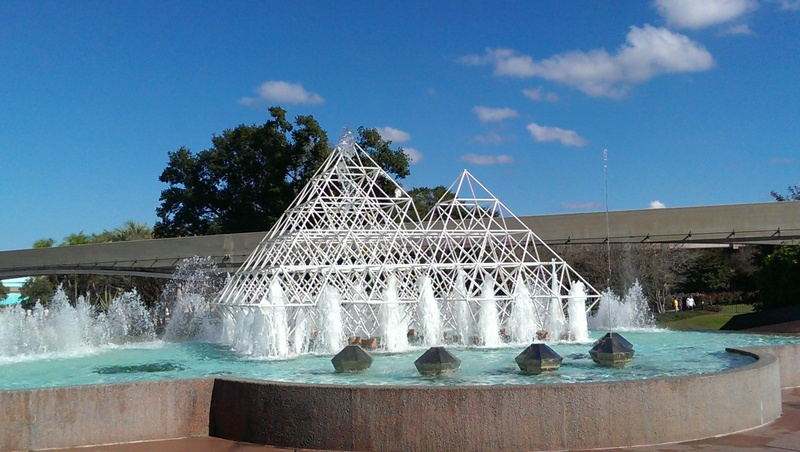 EPCOT, I think, offers the most spectacular fountains on property! The upside-down waterfall at the Imagination Pavilion is very nice, the jumping water in the same area is fun to watch (and try to catch). My absolute favorite is the Innovention Fountain! The synchronicity of the soundtrack with the patterns and use of water cannons is both astonishing and captivating! I find myself wanting to stay there for a long while and losing all sense of reality. Disney’s Animal Kingdom has a lot of natural looking water features, some which may be getting a facelift over the next few years. These features are truly beautiful and breath-taking! I urge you to take a few minutes to take it all in and see the detail that the Imagineers put in to sweep us away with the scenery to support the Animal Kingdom themes. 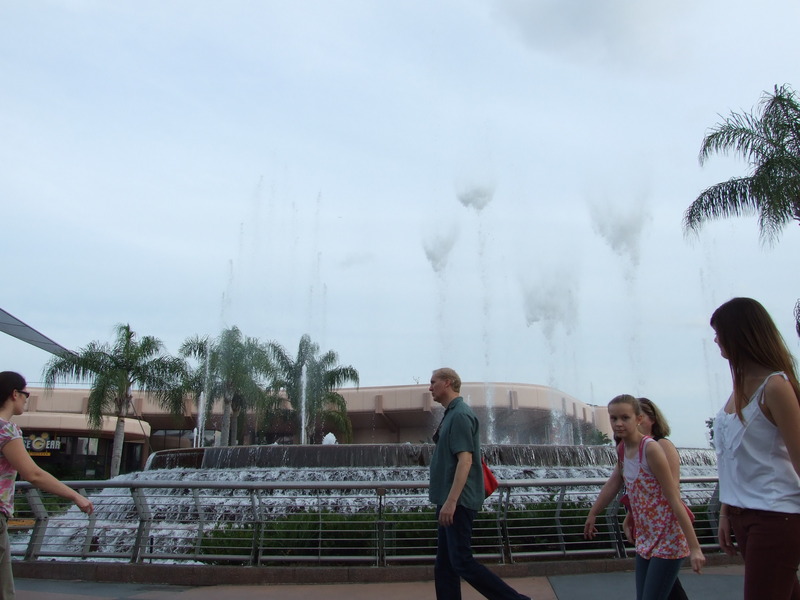 Finally, Disney’s Hollywood Studios doesn’t ‘seem’ to have as much to offer in the way of water features. The largest to note is probably the area at Fantasmic! Which really becomes one of the cast members during this nighttime spectacular. It provides the backdrop for the projected scenes, and of course there are the watercraft flotilla that supports the music of the various Disney movies represented in the show. The most obvious water feature at DHS is Echo Lake! If rumor is accurate, though, this may be getting filled in to support changes to the park for whatever the Lucasfilm Acquisition may provide over the next several year. So, take a look around and enjoy the different manners in which Walt Disney World uses water in the parks!